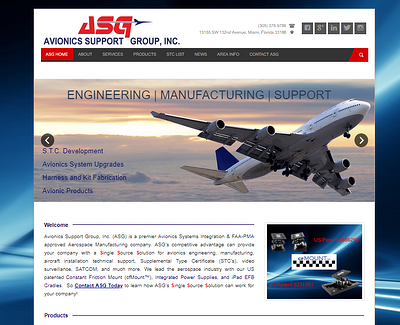 ASG is headquartered in Florida but operates in global markets. Management knows it needs to grow the brand internationally and in today’s world that means having an online presence. The Florida Online Global program is designed for just that. ASG has taken advantage of FOG to build an online presence in 6 international markets, covering their top prospective export destinations. But brand consistency is vital, so management asked IBT Online to re-examine the group’s core domestic website. The goal is to make sure the online presence reflected the group’s brand, core competences and values across all markets. IBT Online is proud to have delivered a new ASG domestic website in harmony with its international presence. While brand consistency runs throughout all the websites, each country website is specific. Optimizing websites for the local search engines (SEO) is at the core of all good localized websites. While Yahoo is a strong contender in Japan, Google commands over 90% share in Mexico. 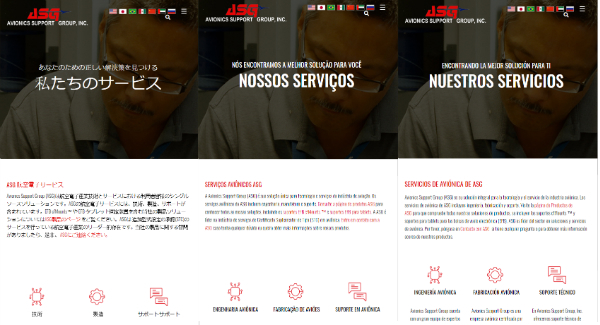 So, IBT Online has now built 6 export websites for ASG, each website is specific to the country, optimized for the local market and search engine, providing a unique, customized online business development tool. ASG management wanted to offer their in-market partners the best possible sales tool available today: a great localized website that can be found, understood and engaged with by local prospective buyers. At the same time, ASG management wanted to make sure their brand developed consistently across all markets. Taking that holistic approach to brand management means ASG is set up for longer term success internationally. The rewards of the FOG program for ASG is measured by the growth in export sales generated over the last 2 years. The FOG program works for any mid-sized Florida exporter concerned with nurturing their brand internationally and growing their sales, business and brand globally.